Zen Studios have just revealed news of an upcoming pack featuring much-loved franchises as a DLC pack for Pinball FX3. While only showing off the E.T. table in video form today (video for that below), this three-table-pack will also feature tables for both Jaws and the Back To The Future trilogy. The Zen Studios blog post for this news gave a bit more detail as to what players can expect from all three tables. 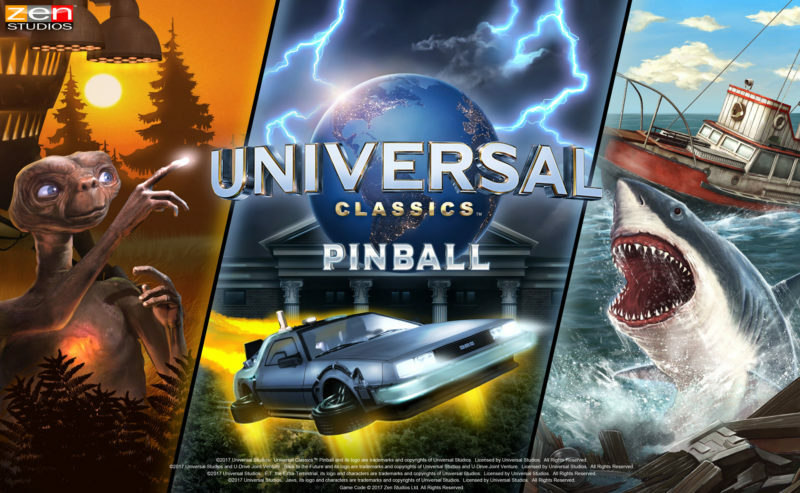 "Players can get behind the wheel of the DeLorean time machine and travel through different eras of Hill Valley to fix the space-time continuum on the Back to the Future table, take on the terrifying great white shark on the Jaws table, and go on an adventure with Elliot as he helps E.T. contact his spaceship and return to the stars on the E.T. the Extra-Terrestrial table!" Keep an eye on this by following Zen on Twitter by clicking right here, or you can count on me to keep you posted.